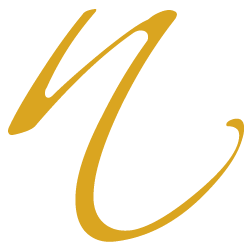 The client had just completed building Cape Sol, a beach house in Duck, North Carolina, when she contacted me to design a cabana sign. 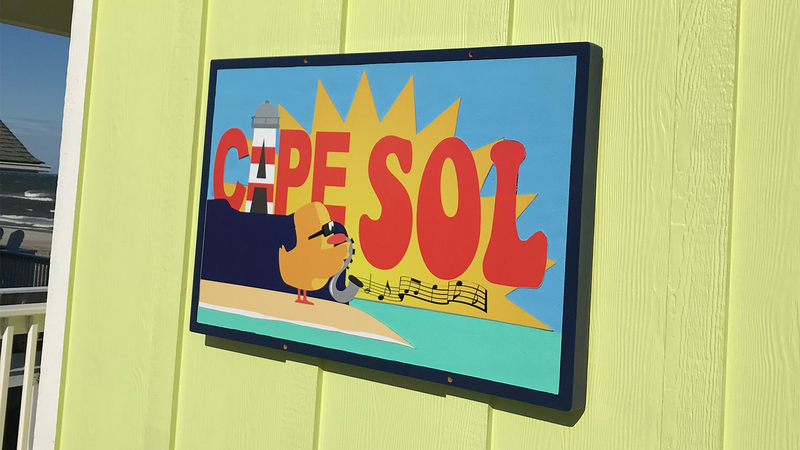 She named the property Cape Sol, because she is from Massachusetts (Cape), loves the sun (sol), and soul music (homophone of sol). However, she wanted to include a duck in the design as a nod to the location of the property. 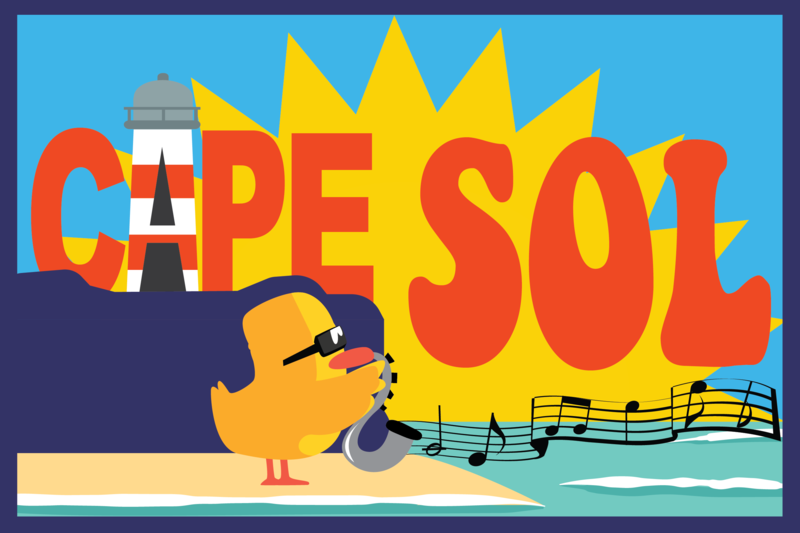 I wove all those elements together in a single scene featuring a duck playing soul music during a sunrise on a cape.